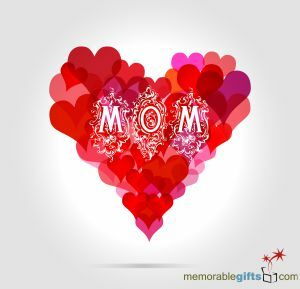 In honor of Mother’s Day 2014, Memorable Gifts would like to give a special shout out to all the first time mommies celebrating their first Mother’s Day this year. Mother’s Day is a celebration honoring moms, motherhood, maternal bonds, and just overall awesomeness that is moms! Whether your child is 1 or 21, this holiday is meant to celebrate you! Although this holiday is for all moms, there is just something special about welcoming new moms to the mommy club. Celebrating your first mother’s day is one of life’s sweeter moments and really gives you the opportunity to reflect on how blessed you truly are. Here is to the moms out there; our role models, heroes, goddesses, and blessings. We appreciate you! We’re celebrating new mothers by compiling this list of new celebrity moms. Here are 5 celebrity women who are new mommies this Mother’s Day. New celebrity Moms: It only seems right to top our list with royalty. Kate Middleton welcomed her first born son, Prince George in June and will be celebrating her first Royal Mother’s Day this year. Congratulations Kate! Second on our list is someone who maybe thinks she’s royalty. Yes, you guessed it! Kim Kardashian welcomed daughter North West in June too! June seems be a popular month to have babies in the celebrity world! Anyway, we could not be happier for Kim. We hope you enjoy your first Mother’s Day with beautiful baby North. Number 3 on our list is the pop sensation Fergie! We thought we were obsessed with Fergie when she had her bump, her bump, her lovely baby bump, but we are even more obsessed with her now! Her and Josh Duhamel are the most adorable new parents and their new son Axl Jack is the absolute cutest! Congratulations Fergie! Next on our list is the Glee star herself, Miss Heather Morris. 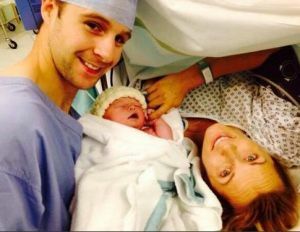 Heather welcomed baby Elijah Hubbel on September 28, 2013. Heather and her baby daddy and husband, Taylor Hubbel were high school sweethearts and couldn’t wait to get their family started. We are so happy for you both! Happy Mother’s Day Heather! Last on our list is new mom Emily Blunt. 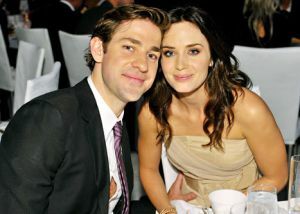 She and husband, John Krasinski, who you may recognize from “The Office” had their first baby in February 2013. They had a beautiful baby girl and named her Hazel. We absolutely adore baby Krasinski’s name and couldn’t be happier for the beautiful new mother! Congratulations Emily!